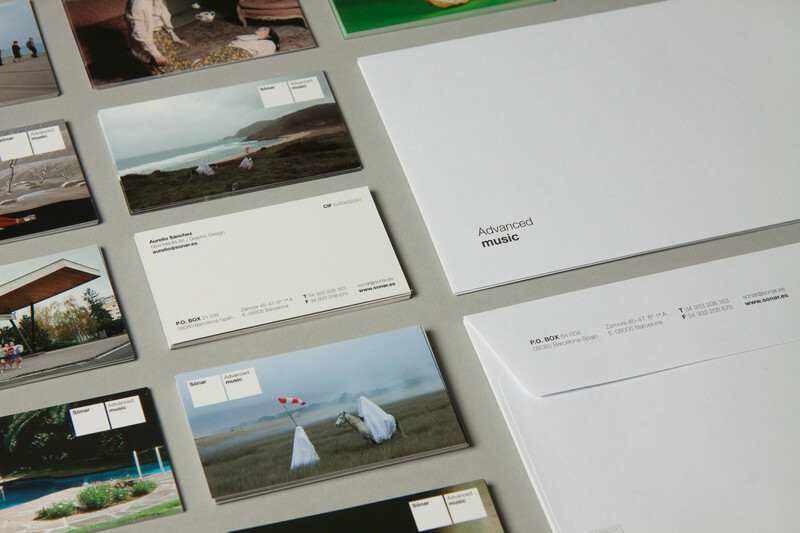 Integration of the two main logos of the companies, Advanced Music and Sónar. 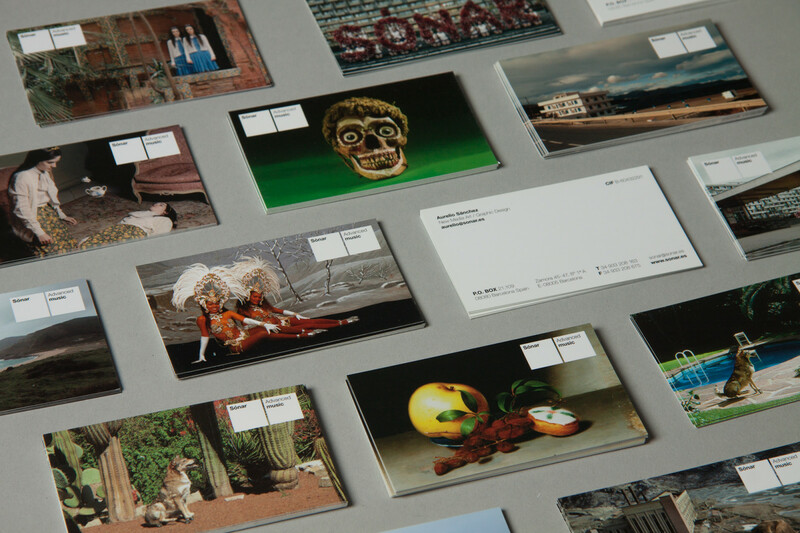 Cards with images of past campaigns of the Sónar festival. Each person chooses one of them for his card.